Cinematic articulations, which had evaded the direct control of state institutions, quite deliberately, in the GDR, of course, not foreseen. "Cinematic articulations, which had evaded the direct control of state institutions, quite deliberately, in the GDR, of course, not foreseen. A dense network of rules and regulations defined by analogy with all other social domains, what, when, where and how was permitted ... The monopoly on the public - including on film - was known to the State. And have taken anywhere else for a group of stalwarts, technical and temporary limitations in the professional development in Purchase, was Super-8 film in addition to painting, dance, poetry and improvised music an opportunity to expand the perception of a rigid, traditional art concept . " 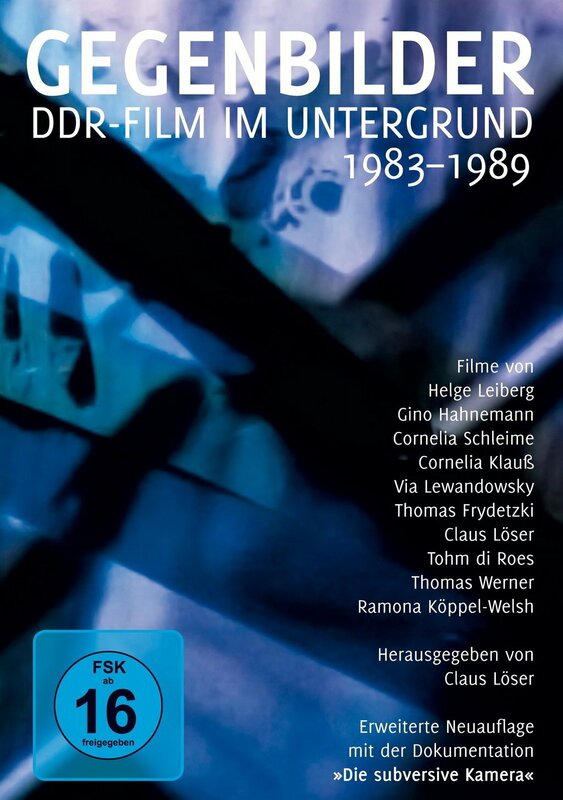 Claus Löser wrote this text, one of the ten filmmakers, whose super-8 documents in the subsoil of the former GDR between 1983 and 1989. Among them are also Helge Leiberg, Tohmé di Roes, Thomas Frydetzki, Gino Hahnemann, Cornelia Klauss, Via Lewandowsky, Cornelia mucus, Ramona Koeppel-Welsh, and Thomas Werner.